Minister of Tourism and Entertainment, Hon. Dr. Wykeham McNeill (second left), makes a point at the signing of an agreement at the Tourism Ministry’s office on August 3. The Tourism Enhancement Fund is providing $260 million towards the implementation of an ‘All Island Maintenance Beautification Project’. 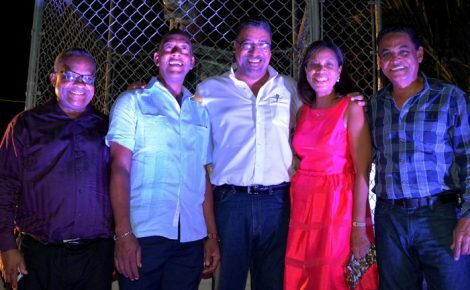 Others (from left) are: Director of Tourism Product Development Company Limited (TPDCo), Dennis Hickey; Minister of Local Government and Community Development, Hon. Noel Arscott and Interim Executive Director of the National Solid Waste Management Authority (NSWMA), Colonel Daniel Pryce. The Tourism Enhancement Fund (TEF) is providing $260 million towards the implementation of an ‘All Island Maintenance Beautification Project’. 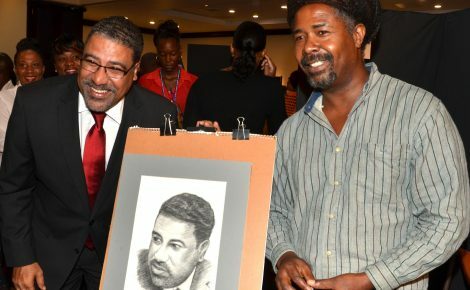 An agreement to this effect was signed on Monday, August 3, during a brief ceremony at the Ministry of Tourism and Entertainment, in Kingston. Signing the agreement were Director of the Tourism Product Development Company Limited (TPDCo), Dennis Hickey, and Interim Executive Director of the National Solid Waste Management Authority (NSWMA), Colonel Daniel Pryce. The signing was witnessed by Minister of Tourism and Entertainment, Hon. Dr. Wykeham McNeill and Minister of Local Government and Community Development, Hon. Noel Arscott. 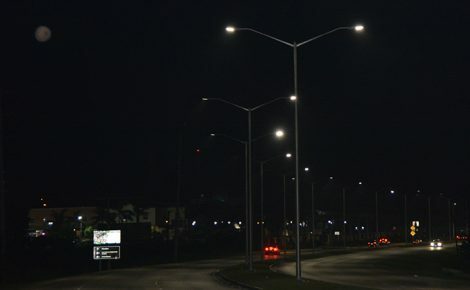 The project encompasses the routine Resort Area Maintenance Programme and the North Coast Highway Maintenance Project that was formerly funded by a loan from the Inter-American Development Bank (IDB). Included in the works are the brushing and cutting of verges along roadways, pruning of existing trees and flowering shrubs, installation of additional plants and removal of garbage, including maintenance of the entire work areas for a period of 12 months. The parishes include: Kingston, St. Catherine, St. Thomas, Clarendon, Manchester, St. Elizabeth, St. Ann, Portland, St. Mary, Trelawny, St. James, Westmoreland and Hanover. The project will also include the maintenance of specific areas, such as the North Coast Highway between Port Antonio and Negril. In his remarks, Mr. Arscott noted that the project has a value that far exceeds the obvious cleaning and enhancement of public spaces. “This project will provide a range of public benefits from the provision of employment opportunities to the promotion of civic pride and the transformation of the built environment,” he said. 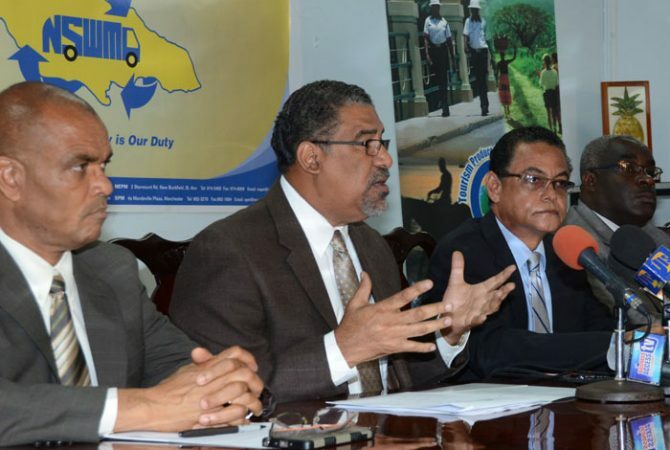 He added that the NSWMA will execute the works on time and within budget. “I ask that when it is completed, the improved areas are preserved for the enjoyment of all,” Mr. Arscott said. For his part, Dr. McNeill noted the Ministry is pleased to be partnering with the NSWMA on the project. “It goes along with a number of other projects that we are doing, because we feel it needs to be a holistic venture,” he said, adding that currently, some 600 persons are employed in the programme on a three-month rotation basis.